On March 26, PennEnvironment was joined by Rep. Karen Boback (R-Lackawanna) and Rep. Austin Davis (D-Allegheny) and other legislators to release the organization's newest study on the threat posed by lead in drinking water in schools. PennEnvironment's new study gave the state an "F" for responding to lead in drinking water in the state's schools. In the second edition of PennEnvironment’s Get The Lead Out study, Pennsylvania showed poor progress, having failed to improve it’s rating since the organization’s initial study in 2017. Alliance of Nurses for Healthy Environments, the Pennsylvania Parent-Teacher Association, and a bipartisan group of legislators all joined PennEnvironment in calling for safe drinking water in Pennsylvania’s schools. Despite this clear threat, PennEnvironment's study states that Pennsylvania law doesn't prevent children's drinking water from being laced with lead. Schools in Pennsylvania are currently encouraged to test for lead, but can avoid testing by simply discussing their refusal to test at a public meeting. -- Doesn’t require results of testing be shared directly with parents. 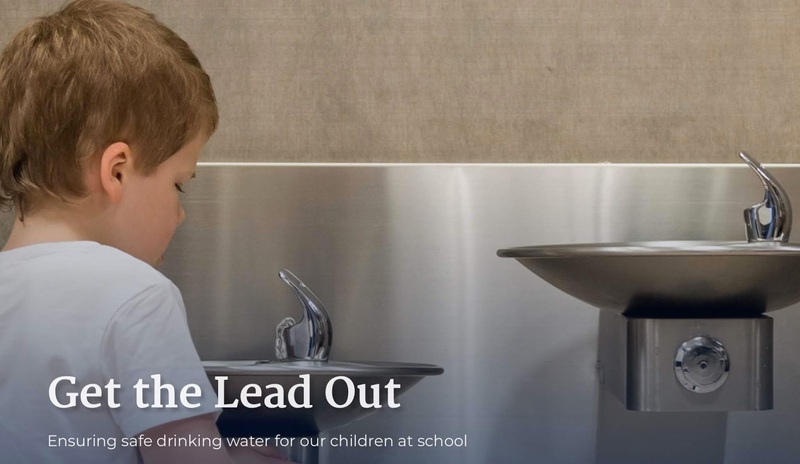 -- Setting a statewide standard for lead in school water to 5 parts per billion, the same standard for lead in bottled water sold in the Commonwealth. For more information on lead and drinking water, visit DEP’s Lead In Drinking Water webpage.